As promised we have tried to work out how far we will be travelling on our trip. This was not as easy as you may think but I think we are quite close to the distance. This will be the minimum distance, we have estimated some journeys and have used the lower estimates. So the total distance we are travelling is 55246 km or 34330 miles! 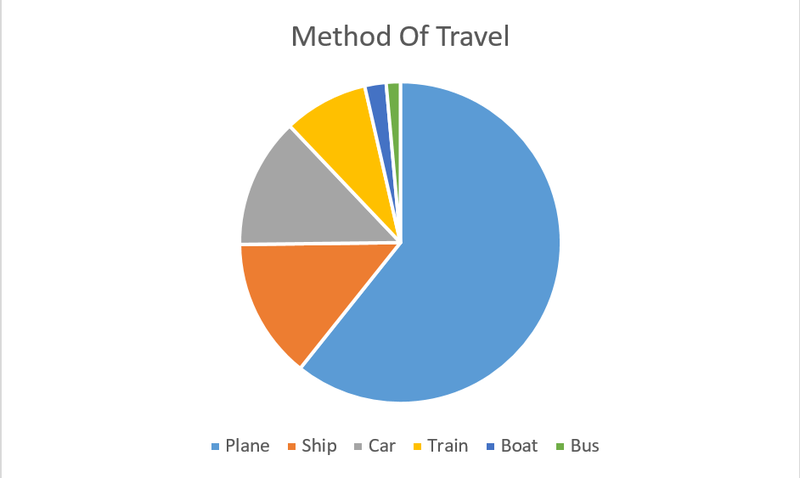 We have also broken down the distance according to the different types of transport we are using. Excellent!! And how many countries? ?